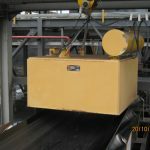 Permanent Suspension Magnets are designed specifically for the extraction of occasional tramp iron from material being processed on the conveyor belt, vibratory feeder or gravity chute. These magnets are constructed using non-deteriorating high power ceramic magnetics and require no wires or cables to operate, as do electro type units. 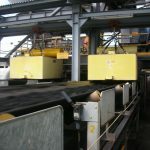 The Suspension Magnet, usually a rectangular pattern, is suspended over the material being conveyed, while the ferrous material is extracted and held against the face of the magnet until manually cleaned off. For safety and ease of cleaning, optional swipe arms or slider plates assist cleaning without having to touch the tramp metals. Compared to electro magnets, they are less expensive to purchase and operate, and, are virtually moisture, corrosion and flame proof. 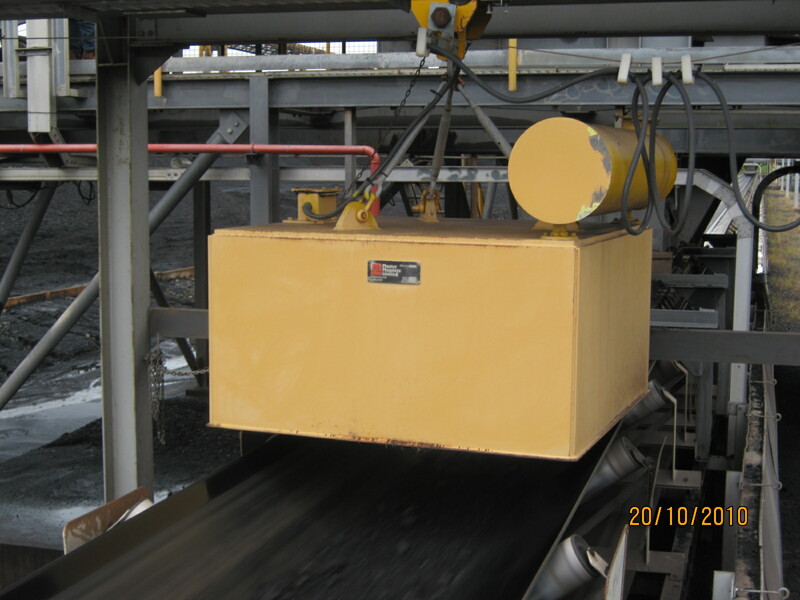 Suspension magnets are commonly used to remove tramp iron from coal, stone, fertilizers, recycled asphalt, stag, gypsum, ores and similar materials to protect processing machinery from being damaged. 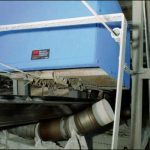 These magnets can be suspended either horizontally or inclined over the head pulley. 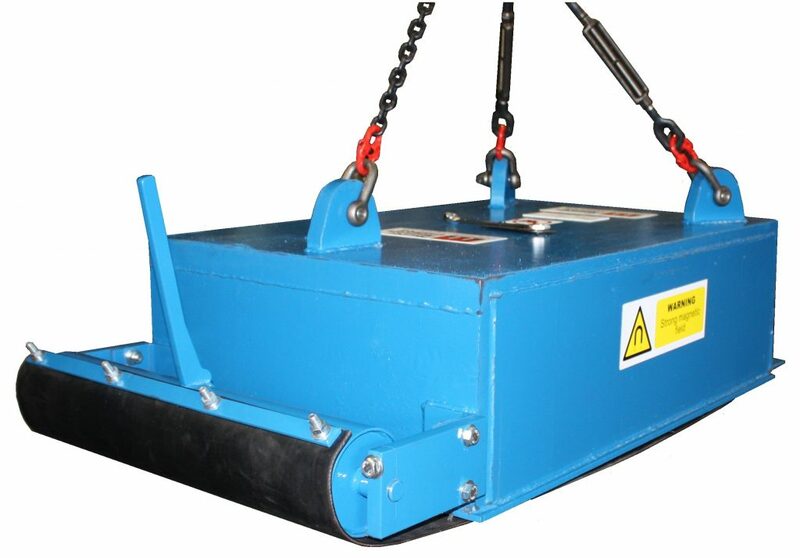 All magnets are fitted with a set of adjustable suspension chains attached to suspension lugs. 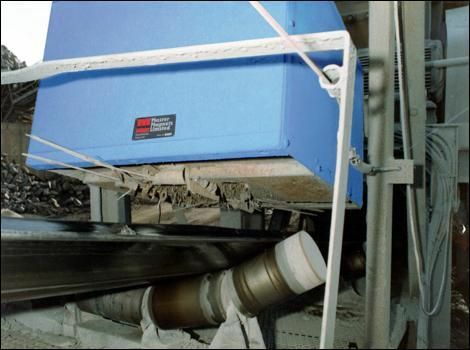 Preferred installation position is over the head pulley for an improved extraction of efficiency, particularly as the absence of belt troughing allows the magnet to be positioned closer to the surface of the material. However, the head pulley must be replaced with one constructed in non-ferrous material, such as stainless steel. 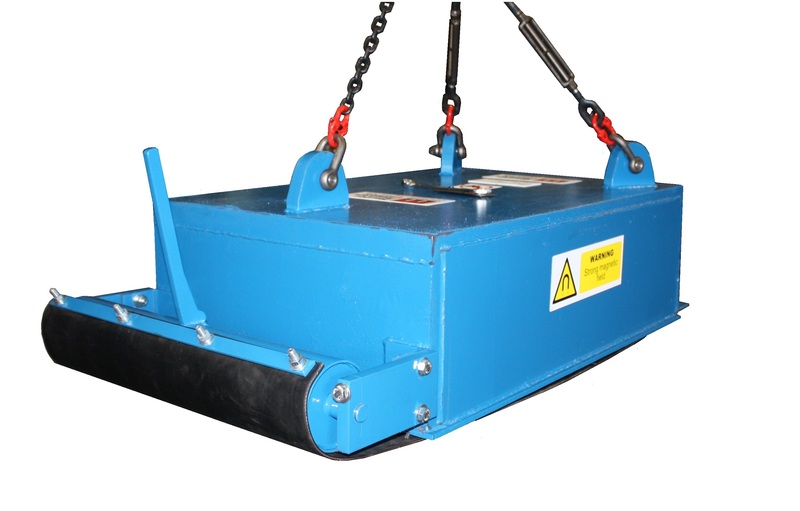 Units can be mounted on a variety of structures, including runway beams (using a trolley for suspension and movement) or A-Frame structure. 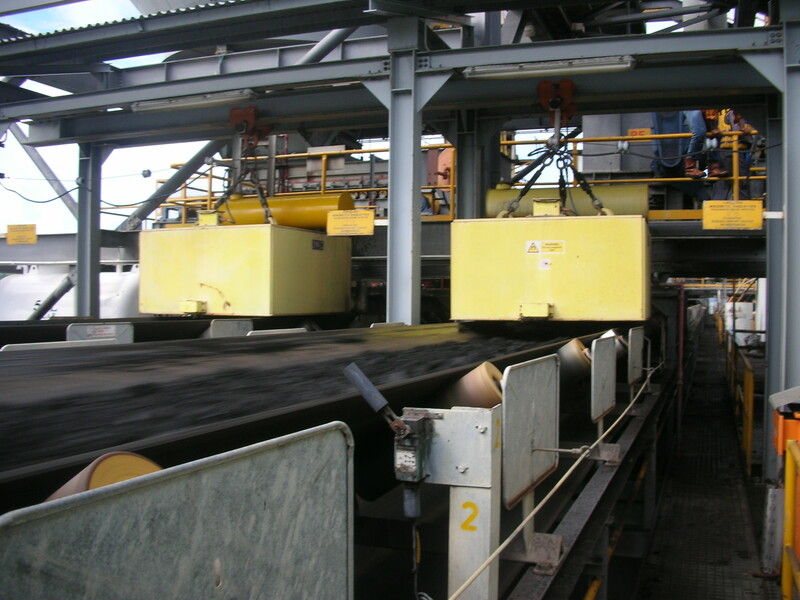 Size availability covers the entire range of conveyor widths and material burden depths to 25″, depending on material being separated.